This entry was posted in Linked data, Metadata, Ontologies, Semantic Publishing and tagged administrative metadata, cerif, CRIS, fabio, FRAPO, linked data, machine-readable metadata, ontologies, RDF, research metadata, SCORO, semantic publishing, spar. Bookmark the permalink. 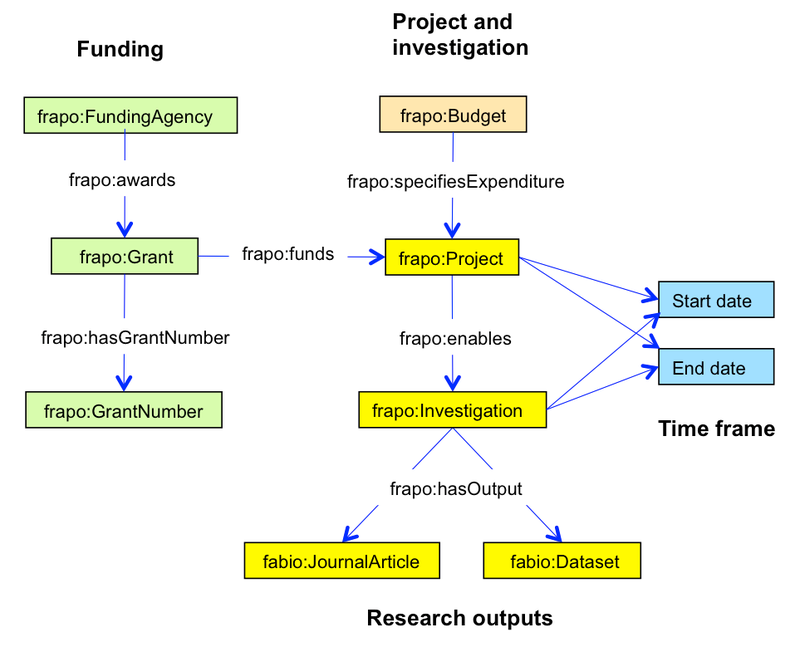 How FRAPO would be implemented in a relational database model, e.g. for use in a MS Access database? Can you give me a sample ER diagram?